A group of clinical laboratories on Friday lost their legal challenge to a multibillion-dollar Medicare reimbursement cut. U.S. District Judge Amy Berman Jackson dismissed the complaint Friday, saying the laboratories can't challenge the lost reimbursement funding in court. "While the court acknowledges that plaintiff's arguments on the merits raise important questions … Congress expressly precluded judicial review of issues such as these, and the court has no jurisdiction to hear the case," Jackson wrote in her decision. The labs expect to lose $670 million this year after the CMS changed its pay rates to match private payer rates for the tests. The cut will equal $4 billion over 10 years. The reimbursement change stemmed from the Protecting Access to Medicare Act of 2014. The switch was made final in a rule released last year and went into effect on Jan. 1. 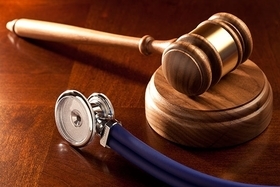 The American Clinical Laboratory Association, a trade group for clinical labs, sued the CMS in December over the planned cuts, claiming the agency ignored congressional intent and instituted a flawed data-reporting process in advance of setting market rates under the law. "This is an extremely disappointing outcome for ACLA's members and the millions of seniors they serve—including the most vulnerable Medicare beneficiaries—who rely on clinical laboratory tests for their most basic health needs," ACLA President Julie Khani said in a statement. Industry groups have argued that the CMS set the pay rates based on data from labs with the biggest test volumes that receive the highest discounts from test manufacturers. If the CMS surveyed more labs, the groups claim the cuts would be much smaller. Khani is concerned the change could cause serious financial harm to thousands of laboratories and make it harder for Medicare beneficiaries to get access to medical testing, particularly in remote rural areas and in nursing homes that depend on laboratory testing services. The Congressional Budget Office, assuming more labs would be surveyed, estimated that the Protecting Access to Medicare Act would cut Medicare spending by $100 million in the first year of the new rates and by $2.5 billion over 10 years. The ACLA and its members are considering appealing Judge Jackson's ruling. For now, the trade group hopes Congress will reform and modernize the clinical lab fee schedule to address the issue. Medicare's fee schedule for lab tests has been largely unchanged since it was established in 1984. Each lab determines its own rates based on market prices. Medicare has historically paid 18% to 30% more than other insurers for some tests, HHS' Office of Inspector General found. The program shells out about $7 billion a year for clinical diagnostic laboratory tests. The clinical labs took issue with the CMS' decision to exempt many labs from reporting what private insurance companies were paying for tests. The CMS said the decision was an attempt to reduce regulatory burdens. HHS' Office of Inspector General initially estimated the rule would apply to approximately 12,000 laboratories, but only 2,000 reported data.